SAP have contacted to me to say that they keep getting questions from people who have taken the below blog post seriously. The problem is if I post a clarification saying it is just an April Fools joke no-one will take me seriously. So I have obtained the services of my colleague, Dancing Des, who is always serious and he will make the clarification. DD: Hello everyone, Dancing Des here. This blog is an APRIL FOOLS JOKE do not take it seriously. Paul had his “foolish fool” hat on when he wrote it. Whilst I am here I would also like to point out that some months back Paul made the claim in another blog that Hasso Plattner was a Vampire and Larry Ellison was a Werewolf and that was the real reason for their rivalry, nothing to do with software, and also why SAP TechEd 2016 was held in the basement to avoid the sunlight which would make the SAP executives explode. That is all factually incorrect as well. Going back further, 30 years ago UK Politician David Icke claimed that most world leaders – including Prince Phillip and the Queen Mother – were actually shape shifting lizard people from another dimension. I have to tell you now that this is also not actually the case. I am happy to be able to clear all this up. Oh yes, and SAP are not actually going to sue you if you burp, which it seems many people were worried about, so burp away all you like. The first day of the fourth month of 2018 marks what can only be described as a PARADIGM SHIFT in SAP strategy. SAP has just announced it is branching out into its first ever non-software product – namely beer! SAP has been the leading provider of enterprise software for many different industries. What most people don’t know is that SAP has been the leading provider of enterprise software for the brewery industry. With breweries like, The Boston Beer Company (Sam Adams), Molson Coors, Diageo (Guinness), Anheuser Busch, Beck & Co (Beck’s), and Carlsberg-Tetley (Carlsberg), SAP has been the vendor of choice for the Brewery Industry. It has been said that 75% of the beer drunk in the world has been in some way powered by SAP. Recently both Diageo and Anheuser Busch have gone on record saying how happy they are with their SAP licence agreements. Given this track record, SAP have decided to bite the bullet and decided to brew their own beer. They have bought up some breweries that Diageo and Anheuser Busch had to sell recently to pay fines, and decided to redesign them such that the resulting beer cans follow SAP Best Practice. Up until now all the different beer companies have been making a variety of beers, all of which taste different. This is clearly very inefficient. Under SAP Best Practice all beer should be vanilla flavoured. It might not taste very nice, and no-one wants to drink it, but when it comes to upgrade time, the effort is virtually non-existent. In fact, when you have beer making in the cloud, you get four new versions of horrible beer a year, each worse than the last, all without you having to do anything! The big four international consulting companies have come out very firmly in support of this new initiative. “We have no doubt the vast majority of customers will want to drink the new SAP Beer. Some of our customers have however expressed concerns that the beer cans have no openings whatsoever, and that the SAP “accelerate” methodology suggests that best practice for drinking beer is to open the beer can with a chainsaw. This has led to some “early adopters” losing arms, or even heads, so we have a solution. Drawing on our experience in the 1997 – 2002 period when SAP produced promotional t-shirts with twenty seven holes for arms but not one for the head, we will provide the same sort of solution that we did back then, to tailor the product to your exact need. I am sure by this point you are all chomping at the bit to have a taste of the new beer SAP is producing. The great news is that as of the 1st of April 2018 this is now available in most supermarkets, especially ones that run SAP such as LIDL and Sobeys in Canada. The sales process may seem a bit unusual at first, as it involves you having to register for a “B” number to complement your “S” number and “P” number, and then when you have tried to log on to the beer buying app twenty times you eventually get through and then the supermarket checkout operator fires a case of one hundred beer cans at you using a cannon. This is best practice however so you should be grateful. Finally you need to make sure that you ask for the correct product name. When I started writing this blog a few minutes ago the name of the SAP beer was “SAP!” as depicted in the picture at the start of the blog. The beer will probably have a different name when you get to the supermarket, but not to worry – you can now download from the SAP Service Marketplace an app which lets you enter a prior SAP product name and it will tell you what the current name of that product is in the five minute period relating to the query. Sadly this app is a separately licenced product, but who will miss an extra million dollars a year! So, I wish you all the best drinking as much of the new SAP Beer as you can stomach! P.S. Make sure you do not burp after drinking a can of SAP Beer, as if anyone hears you burp you will be subject to a ten thousand dollar “indirect licencing fee” per listener. thx for this amazing news. I would have missed it. But now I already downloaded the “current name app” form SMP and will be one of the first who registers for the new B* number. 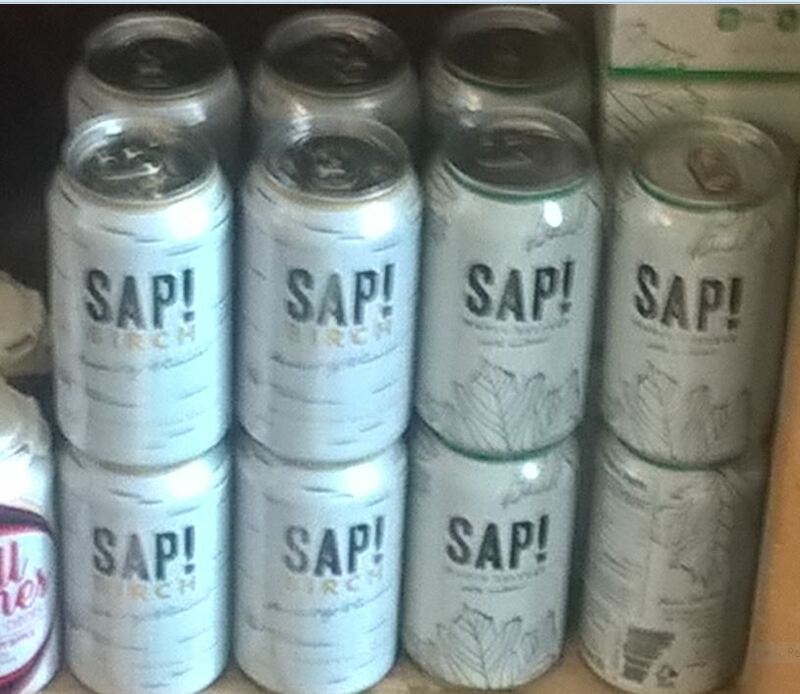 Can we buy this amazing SAP product in Brazil?? I really would like to run for the role of CBO, Chief Beer Officer, and lead the efforts on this interesting intersection between software and beer. Paul, I was following you since your weekly reviews of openSAP course “Test Driven ABAP development”, but after reading this we can safely conclude that you have turned into a butterfly (in metaphorical terms …. ). I don’t know how you balance the Zen and Bite in your blogs but it is perfect. how Agile is implemented here?? The more of the product known (at the time of writing) as SAP! beer you consume, the more “buzzword compliant” your speech becomes, so Agility is the least of your problems…. As of today (as you can understand I was under NDA I can share that we’ll transform the subsidiary in Spain into a winery! Even more, the plan is to extend further to produce also cheese and of course the famous Spanish Jamon! Looking forward to keep collaborating with all of you! Do you have any job openings for wine and Jamon tasters there? Spirits are a separately licensed product (see the comment by Bernhard Luecke), requiring country specific implementations (ala HCM Payroll). Confusingly, some of these country specific examples also apply to the product known (at the time of writing) as SAP! Beer. A typical example is Australia, where the new product is called XXXX (because they can’t spell beer). Those who don’t read the blog and just share reading the headlines, would have thought this is real 😉 because SAP can do anything !! Great job with this Paul and an excellent blog. Pretty impressive understanding of the SAP “world” to write and probably the best one I have seen on SCN in several years. Pilsen, Lager or Unfiltered? i would say unfiltered…..excellent blog!. Straight to the SCN Gold collection. 🙂 Congrats on 40k views and counting! only fully read this today, it’s hilarious! I missed this last year – found it now because Jelena P. reshared it in Twitter. Hiarious, I laughed so hard! Thank you.